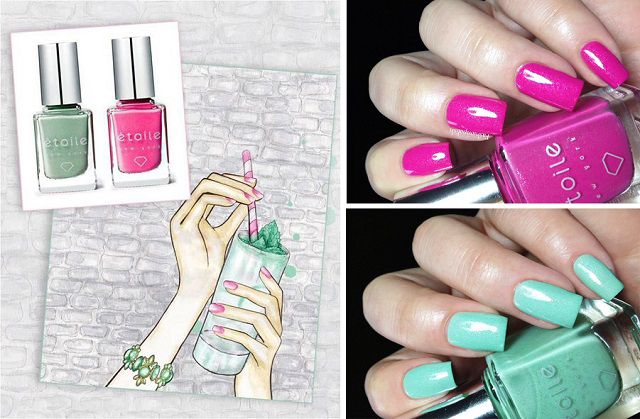 A few months ago, I shared with you my first review of a relatively new brand, Etoile Polish, and today I have more from them with their Spring collection Greenwich St. Soirée! Etoile Polish is a New York based nail polish committed to transform every manicure into a splurge of luxury and glamour by infusing real diamond dust in each of their precious bottles. 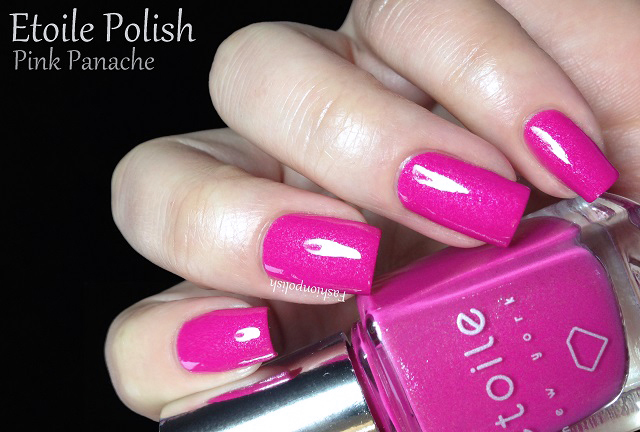 Pink Panache is a hot pink with diamond dust shimmer. 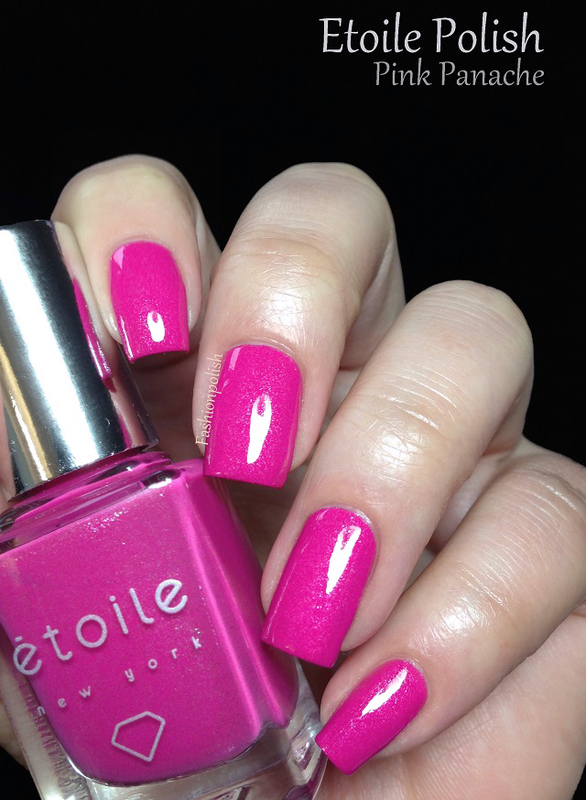 Bold and gorgeous, typically one of the shades of pink that looks good on anyone. Formula was a dream to work with and required two easy coats for complete coverage. Fizzy Cucumber is a fresh mint green with, again, real diamond dust, perfect for the season and complimenting on my skin tone. Application was easy as a breeze and offered even and full opacity on the second coat which is kind of awesome for a mint! I'm really loving the extra sparkle of the Etoile Polish diamond dust signature shimmer but also their wider color range. Slightly more expensive than your average nail polish but totally justified by the quality and luxury of the products in my book, I can only recommend them! Pink Panache is so pretty! My sister got me this set for Mother's Day- love it!! The pink one is amazing! Les couleurs de cette marque sont vraiment sublimes, et là je craque sur le Fizzy Cuncumber!!! par contre c'est un chouia cher quand même je trouve, dommage, ils sont canons! Thee are both beautiful shades - and two of the colours I buy by default! Et mon shipping to france il est où ? ?